How OISD Standards are made? 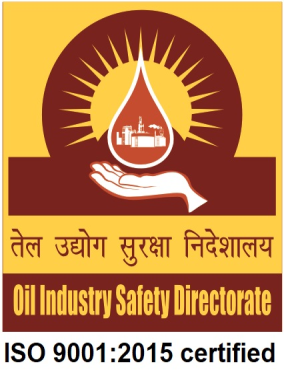 OISD(Oil Industry Safety Directorate) is a technical directorate under the Ministry of Petroleum and Natural Gas that formulates and coordinates the implementation of a series of self regulatory measures aimed at enhancing the safety in the oil & gas industry in India. OISD consists of a small core group of technical experts of various disciplines, on deputation from the industry.OISD, headed by an Executive Director, gets its directions and guidance from the Safety Council, the apex body consisting of senior officials of the Ministry of Petroleum and Natural Gas, chief executives of oil/gas companies and heads of the concerned statutory and advisory bodies. * To conduct audits to ensure compliance. * To maintain continuous follow-up on compliance to OISD audit. OISD consists of a small core group of technical experts of various disciplines, on deputation from the industry. These OISD standards are periodically reviewed to incorporate the latest technological. Over 32 years experience & knowledge international standards, technological changes & industrial systems, we are dedicated to provides seeds the best & economical solutions to valued customers. Click here to change font color and size.